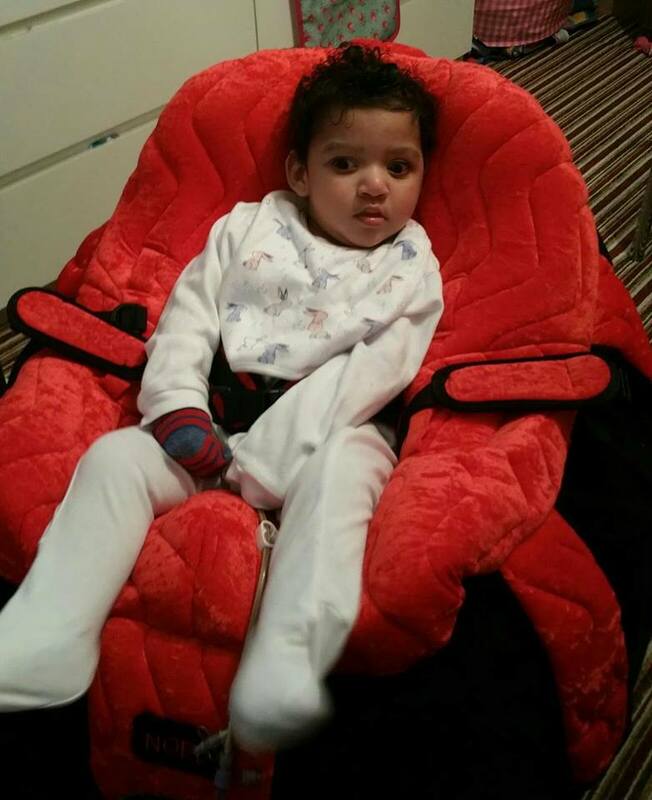 This is Zaid in the new PPod chair bought for him by the Frost Foundation. Zaid has quadriplegic cerebral palsy, he is visually impaired and has epilepsy. 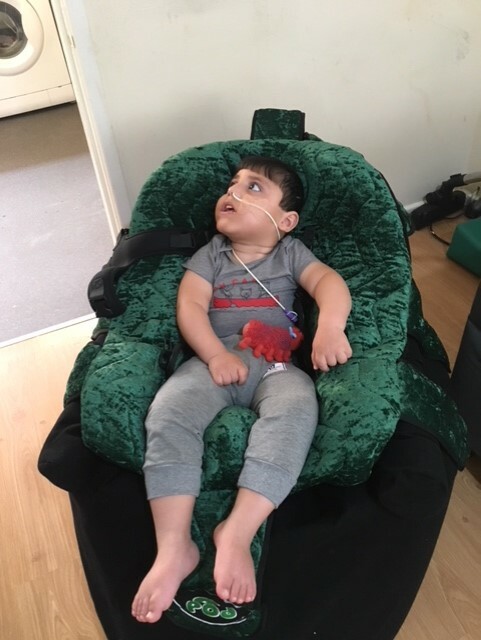 This special made to measure chair will keep Zaid safe should he have a fit and be comfortable as he struggles with other rigid chairs. 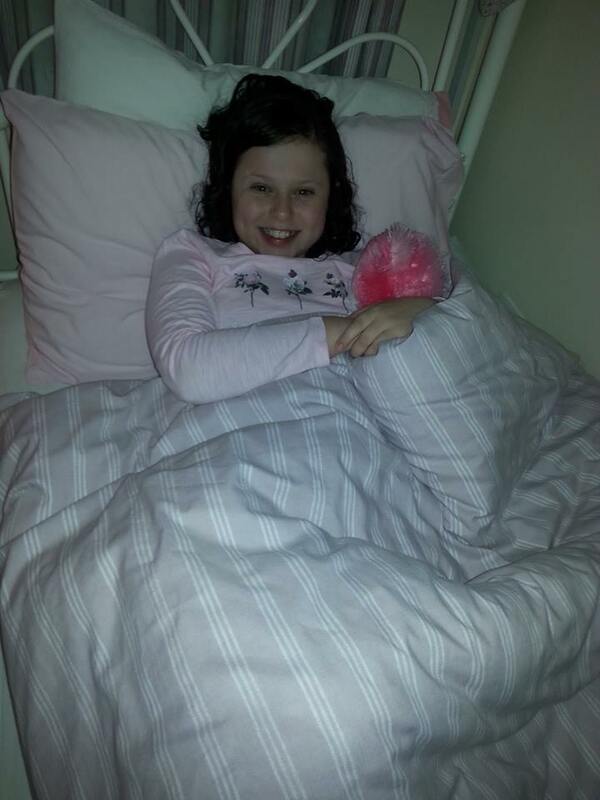 Heidi-Lou suffers with Quadriplegic Cerebral Palsy which effects her whole body so is unable to sit or walk unaided. The Frost Foundation donated this Mustang Walker which supports Heidi-Lou and enables her to walk and play with her friends. Amelia she is 5 years old. She has a really rare genetic condition called piezo2. 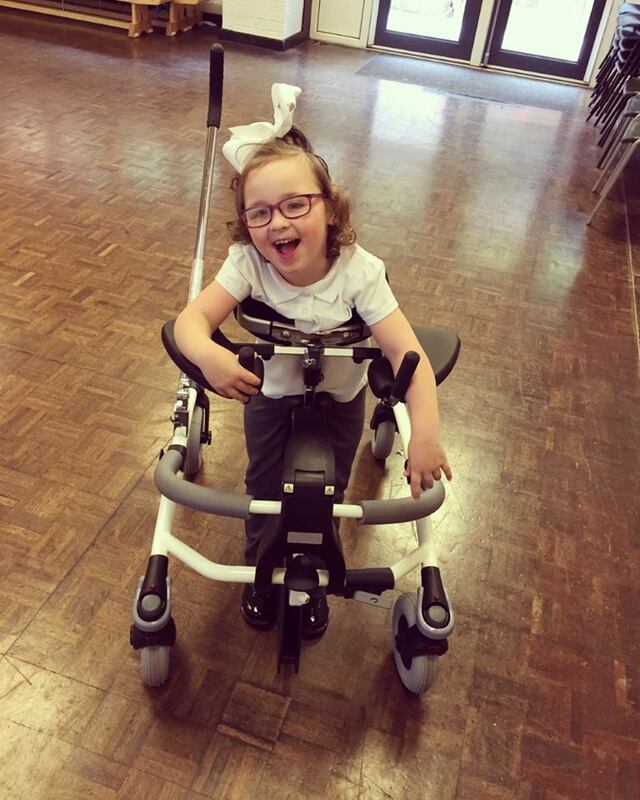 Because of this she has very low muscle tone she is unable to stand unaided and unable to walk as her toes curl. She has scoliosis as well and has a higher risk of choking. 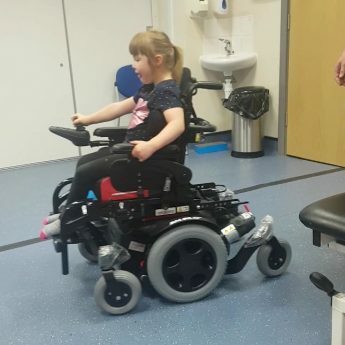 Amelia’s parents have raised funds for a vehicle that is able to take her electric wheelchair but they needed a special lift fitted to the car. The Frost Foundation agreed to fund this for Amelia. William has a visual cerebral impairment, so being able to block out the surrounding atmosphere and engage directly and use something that is interactive will really help to improve his skills. Noel is a very poorly little boy. He has a life limiting condition and uncontrolled seizures and needs to be held constantly. The Foundation bought Noel a PPod chair that will not only offer him comfort but will also keep him safe. Jenna has complex health needs. She has a rare genetic condition and a heart condition which has required surgery. She also had 2 bleeds on the brain. Jenna responds well to lights. 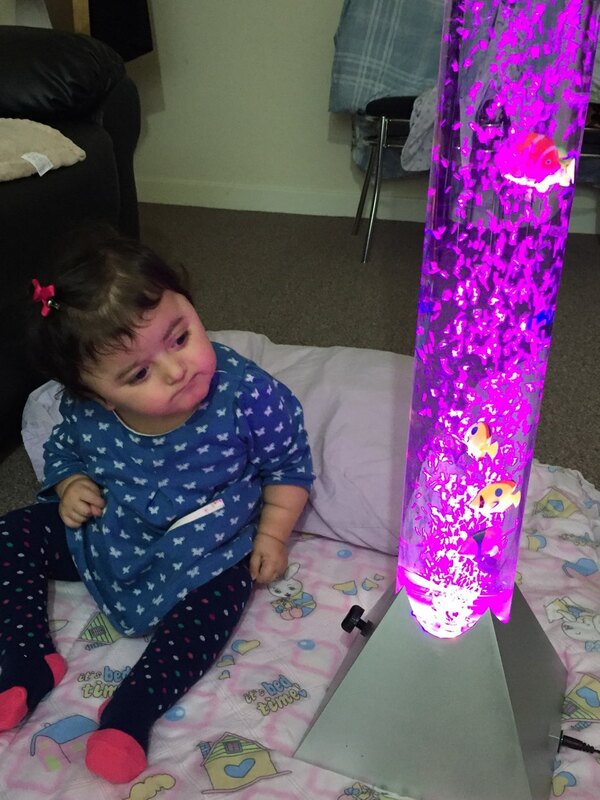 The Frost Foundation have bought Jenna some light-up sensory equipment. We have had a request for an eye gaze package for Eleni.Eleni has epilepsy , significant motor developmental delay and a cortical visual impairment , it has been really difficult to determine what vision Eleni has , however most recently Eleni had the eye gaze assessment and her responses were amazing , she was able to prompt responses on the object using her vision , and so has identified she has better vision that originally thought. The eye gaze can be used as a learning tool to further support her development using her vision as her mobility is so limited and is non verbal. This is a really expensive piece of kit but would make such a difference to this little girls life. The trustees have sanctioned the Frost Foundation to buy this for Eleni. Dylan is registered blind. 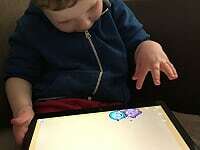 He has epilespy and severe developmental delay. He likes to play on the floor and can sit for short periods, but he falls back and he may have a seizure if not supported. 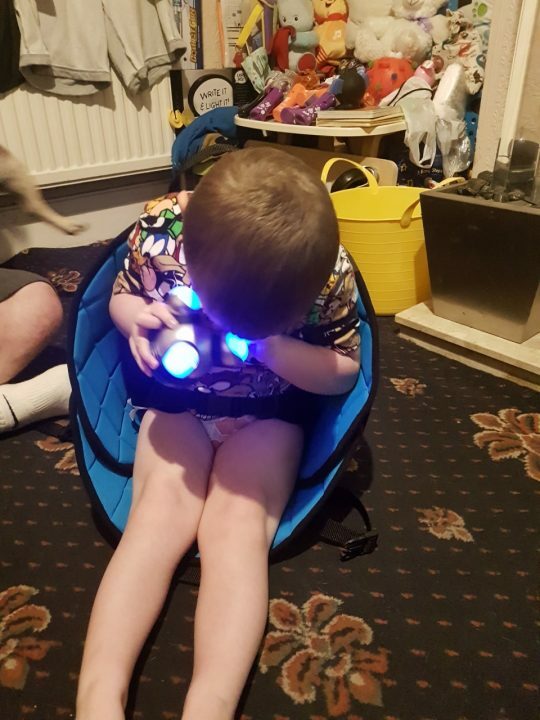 We have bought Dylan a Scallop Chair which will support him and keep him safe. chair to help him with his posture and he can be comfortable without any help. The charity was so pleased to be able to help this gorgeous little boy. 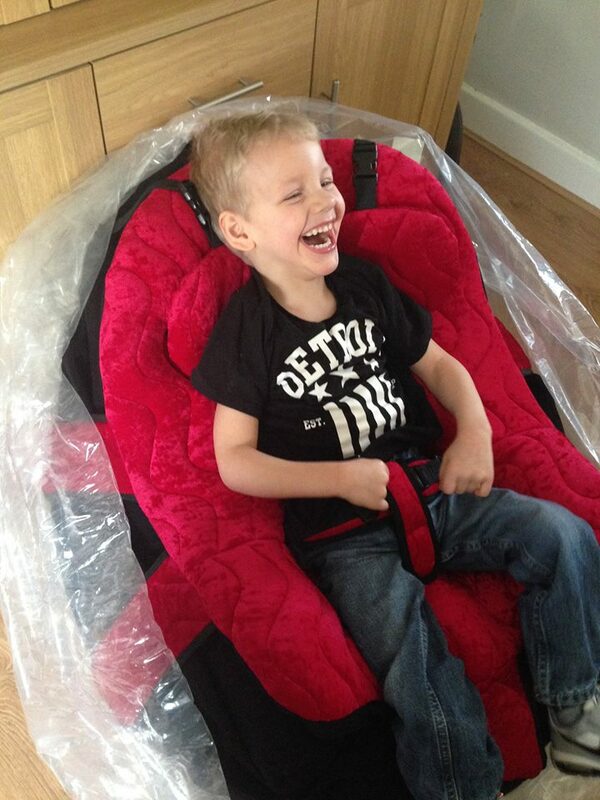 Hi just a big thank you to you for our P Pod chair it’s arrived today and he loves it!! Amelia is a lovely 10yr old girl from Bury who due to several disabilities needed a special bed so she was comfortable & safe at night. We were so pleased we could help her. This was an email I received from her Mum. 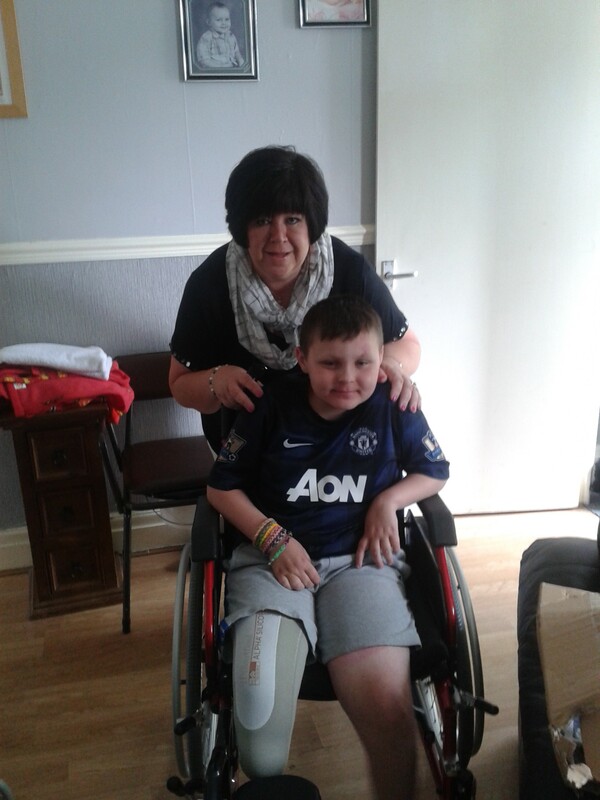 The Frost Foundation has just delivered a lightweight wheelchair to 10yr old Oliver Hacking from Bury who was involved in a horrific accident earlier this year and had to have his leg amputated.